The company needed to know whether it was targeting the right customer base and they needed to ensure it was carrying the optimal product mix. Dealing in large items, it wanted the ability to analyze freight costs and select the lowest priced carriers to minimize total cost of ownership for customers. Expecting rapid growth, Restaurant Equippers knew the chosen solution must support significant company expansion. Socius was chosen as the partner for a Microsoft Dynamics GP implementation. The solution had most of the desired functionality right out of the box and it operated with a Microsoft SQL Server database, the familiar tool already used for their warehouse management system. The availability of the consultant and the partner support team helped to make the transition painless for Restaurant Equippers. Restaurant Equippers is fulfilling 2½ times the previous fulfillment rate as a result of technology tool gains and changes in business practices. The new solution has provided the desired analysis tools. – Roger Wadsworth, General Manager at Restaurant Equippers. When they selected a Socius Distribution Solution, they recognized that it would be a long-term solution that they could grow with. “It was the best fit for our organization,” said Brent Zellner, Director of Information Technology for The Gorilla Glue Company. “We knew that we could grow into it – it may have been a little large at the beginning, but we felt that we could go for years and years with it.” And they have – The Gorilla Glue Company has been using their Socius Distribution Solution to manage and automate financial and business processes since 1999. Additionally, it addresses some unique inventory issues that Gorilla Glue faces. “We have a combination of kits and BOM that we can handle seamlessly,” Zellner noted. “It’s helped streamline everything from our invoicing process, to our ordering process, to things that we do out in the warehouse,” added Gorilla Glue’s IT Systems Administrator, Aaron Back. The St. Clair Group struggled to get all of their data into one location in order to make strategic business decisions based on solid information that was all in one format. Clair is a manufacturing business that wanted to focus on manufacturing, they did not want to maintain servers or software. 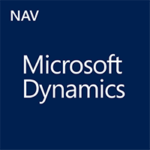 Clair Group implemented a Microsoft Dynamics NAV 2013 deployed via the cloud. The St. Clair Group now has a central hub where all of their data is located, so no matter what challenge arises that day, they can go to the system and find the information they need to determine the best solution. They are now able to not have an IT department and focus completely on their business. The St. Clair Group has seen numerous inventory savings from the implementation of their new software. A Clean Solution For Neundorfer, Inc.
Neundorfer, Inc. applies experience and knowledge to help customers enhance and optimize the performance of particulate collection equipment. “It is our passion to constantly improve our products and services for the benefit of our customers – providing solutions that reduce emissions and costs while improving efficiency and safety,” says Mike Neundorfer, President. Nuendorfer Inc. had been lacking integration between financial, manufacturing, and sales software proved to be inefficient and costly. The business was constantly looking for workarounds that would allow them to get the data they needed to run the business. They extract data from each package and re-enter it on spreadsheets to get the desired reports. 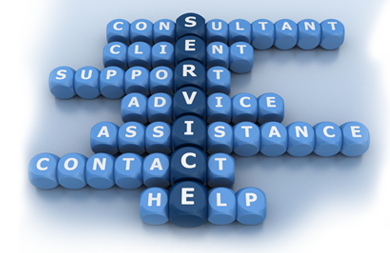 Microsoft Dynamics GP provided a software that integrates all of these, and Socius provided a business plan to work on the integration of current software to Microsoft Dynamics GP. 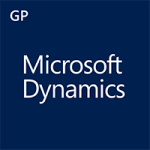 The company’s Microsoft Dynamics GP solution delivers integrated functionality from the manufacturing floor to the sales staff, from accounting to the field service representatives. By utilizing the Microsoft SQL Server, Neundorfer no longer needs to spend up to 8 hours each week creating the company’s most vital report. Now they can monitor cash flow, projections, total backlog, and other key performance indicators in real time. There’s even more to read on at TBS Socius.